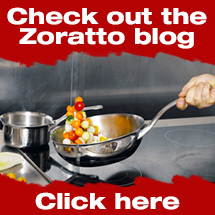 The Wilton Method of Cake Decorating is the best and easiest way to learn cake decorating. 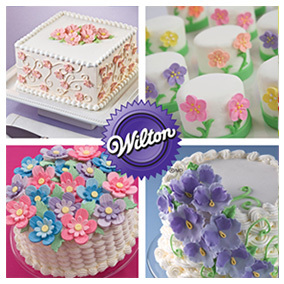 For over 85 years, Wilton has made it simple and fun for anyone to make amazing cakes. Interested in becoming an authorized Wilton Method Instructor? 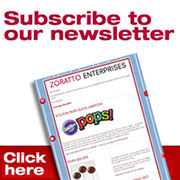 Wilton classes must be held in a retail store location that sells Wilton products purchased through Zoratto Enterprises. Authorized locations must have the space and facilities to support a class. An ideal class space should have a table and chairs with room for the students to work, as well as access to water and electricity. Wilton Method courses are taught by Certified Wilton Method Instructors (WMIs). 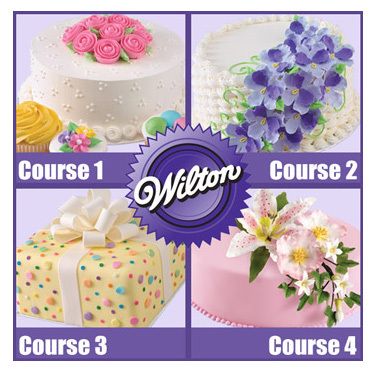 Instructor certification is obtained through participating in a Wilton Instructor Training Seminar. If this sounds like the perfect fit for your store please register your interest below. Looking to attend a Wilton Cake Decorating Class? 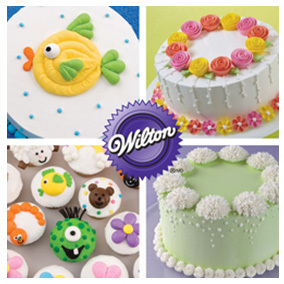 Wilton Method cake decorating class programs make learning to decorate even easier and more fun! Let friendly Wilton Method instructors help you experience the thrill of creating cakes and treats that will delight your friends and family, even if you’ve never decorated before! A fun, friendly, experience! - Anyone can do it! You don't have to be a chef or even experienced in the kitchen to decorate a cake, cookie, cupcake or brownie. The Wilton Method of Cake Decorating will teach you all of the techniques to make treats that will amaze your friends and family! 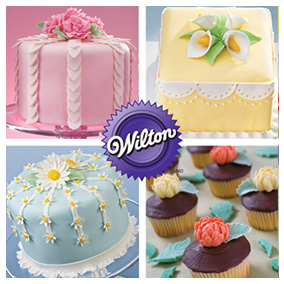 Each Wilton Method Course consists of four, 2-hour classes and is run by a selection of our retailers. For your nearest location, please refer to the list below. Build buttercream skills you can use for all decorating projects — from cupcakes to cakes for any occasion. Whether you’re new to decorating or have been decorating for years, when you complete Course 1, you’ll be proud of the new techniques you’ve learned and ready to showcase them on your next project. Along the way, you’ll learn to Ice and decorate a cake and other sweet treats, Pipe lines and make simple borders, letters and shapes on your cake, Make six different buttercream icing flowers, Transfer images to a cake to decorate, Make icing the right consistency to decorate, Fill and use a decorating bag. Work with royal icing, the ideal medium to use when creating flowers and decorations in advance. You’ll learn core techniques to make a wide variety of flowers, such as pansies, lilies and The Wilton Rose. You’ll also learn how to design a professional-looking cake, from selecting the colours to arranging your flowers. Your Certified Wilton Method Instructor will help you each step of the way as you learn to Design the colour palette and pattern for a cake, Complete buttercream icing piping techniques, Create seven different types of flowers, and understand how to feature them on your next project, Learn to pipe royal icing appliqués, Pipe additional decorative borders onto your cake. Develop new skills working with fondant and gum paste, and apply them to create shapes, borders and flowers. You’ll also learn how to cover a cake with fondant. Plus, you’ll design and create a complete project using all the techniques you were taught. Your Certified Wilton Method Instructor will help you each step of the way as you learn to Prepare and colour gum paste and fondant, Cover a cake with fondant, Create different types of bows and flowers, including the calla lily, rose and carnation, Discover how easy it is to paint on fondant, Design and complete a cake with the shapes and flowers from the course. Further enhance your skills while you learn the advanced art of realistic gum paste flower making. The flowers and arrangement you create will be the perfect addition to any cake, cupcake or sweet treat, and will be the focus of every celebration! 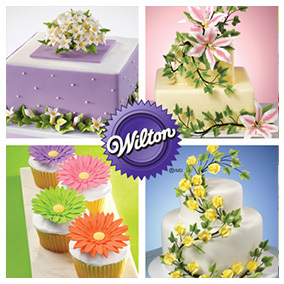 Your Certified Wilton Method Instructor will help you each step of the way as you learn to Use gum paste to create detailed, realistic-looking, lowers as if they were freshly cut, including Gerbera daisies and stargazer lilies, Create a variety of leaves, blossoms and bouquet designs.